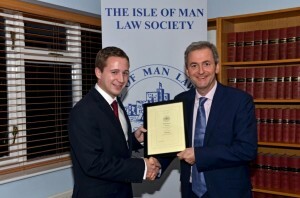 This essay competition was established in memory of George Sayle Johnson Esquire, a past President of The Isle of Man Law Society, with the object of encouraging the study of law. An essay is written and sent into the First Deemster where he and a panel consisting of the Second Deemster, the Attorney General, the High Bailiff and the Vicar General adjudicate. However, on occasion the award has not been presented if the panel decided the essays submitted did not warrant the prize. The Deemster Kerruish Endeavour Award was created in 2010 in memory of much loved and respected First Deemster Michael Kerruish. 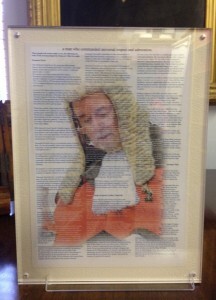 His principles of “Never give up and always do your best” are the key criteria for assessment of Advocates who have shown most endeavour, whether professionally or within the community, in the preceding year. The creation of this award was seen as a small way to mark the passing of such a significant man and all holders of the Award should be proud that their names will be associated with that of this highly respected First Deemster in the their annals. 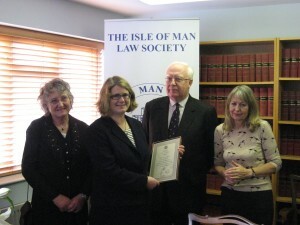 Senior Partners in Isle of Man practices and the Society itself nominates Advocates. 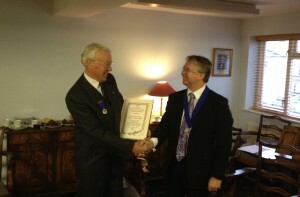 The Award is determined by a panel constituted by Mrs Marianne Kerruish, Deemster Kerruish’s widow. Recipients are presented with magnificent illuminated manuscripts presented by esteemed local artist Colleen Corlett.